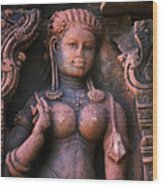 There are no comments for Apsara. Click here to post the first comment. 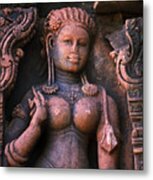 An apsara smiles enigmatically hundreds of years on. Picture taken at Banteay Sray temple which is part of the Angkor temple complex. The temple is believed to date from the 10th century and is dedicated to the Hindu God Shiva. The temple is renowned for its intricate sandstone carvings. ***Photograph taken on film. Negative scanned to create digital file.